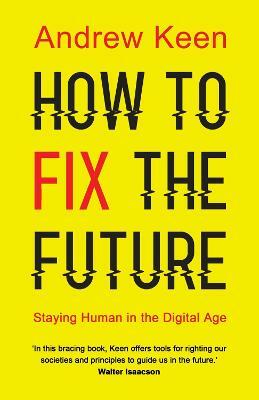 In this sharp and witty book, long-time Silicon Valley observer and author Andrew Keen argues that, on balance, the Internet has had a disastrous impact on all our lives. By tracing the history of the Internet, from its founding in the 1960s to the creation of the World Wide Web in 1989, through the waves of start-ups and the rise of the big data companies to the increasing attempts to monetize almost every human activity, Keen shows how the Web has had a deeply negative effect on our culture, economy and society. 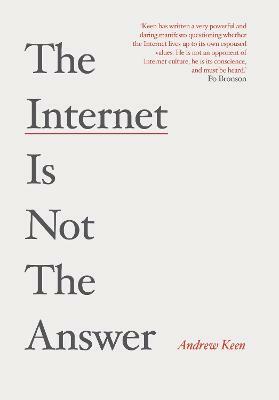 Informed by Keen's own research and interviews, as well as the work of other writers, reporters and academics, The Internet is Not the Answer is an urgent investigation into the tech world - from the threat to privacy posed by social media and online surveillance by government agencies, to the impact of the Internet on unemployment and economic inequality. Keen concludes by outlining the changes that he believes must be made, before it's too late. If we do nothing, he warns, this new technology and the companies that control it will continue to impoverish us all. 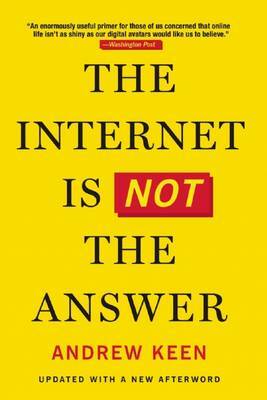 Buy The Internet is Not the Answer by Andrew Keen from Australia's Online Independent Bookstore, Boomerang Books. 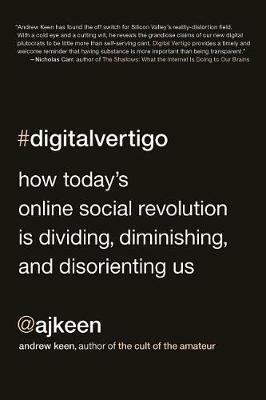 Andrew Keen is one of the world's best-known and controversial commentators on the digital revolution. 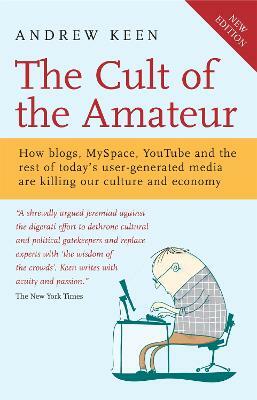 He is the author of three books: Cult of the Amateur, Digital Vertigo and The Internet Is Not The Answer. He is executive director of the Silicon Valley innovation salon FutureCast, the host of the popular Internet chat show 'Keen On', a Senior Fellow at CALinnovates, a columnist for CNN and a much acclaimed public speaker around the world. In 2015, he was named by GQ magazine in their list of the '100 Most Connected Men'.